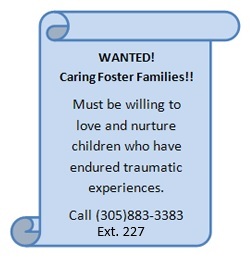 Our caring and compassionate staff place younger children in the care of foster families. Older youth, between the ages of 18 and 23, receive assistance through placement in independent living environments. Why Support Catholic Charities’ Unaccompanied Refugee Minors Program? All children deserve a chance to succeed. Too often life’s circumstances interfere with healthy childhood development. Catholic Charities of the Archdiocese of Miami, Inc. has been caring for and nurturing vulnerable children for decades. We are committed to helping each child achieve their full potential. URMP is looking for people who are stable and willing to complete our screening & preparation process to become foster parents. Our children and teens are ethnically diverse. Therefore, we need families /individuals who are culturally sensitive, and willing to make a difference in the lives of our children. Our goal is to ensure that children and teens are placed in safe and loving homes as they begin a new life in this country. 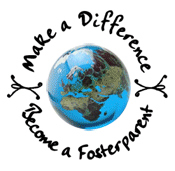 You do not have to be Catholic, married, or have children, to be considered as a foster parent. Clothing, education, medical care, and other support services are provided at no cost to you. Additionally, you will receive a monthly stipend to assist you with caring for the child. If you or someone you know fits the above profile, please contact us for more information, and dates of our next orientation/free workshops. Catholic Charities’ Unaccompanied Refugee Minors Program (URMP) does not discriminate on the basis of disability to include services for the hard-of-hearing. All meetings conducted by URMP will provide auxiliary aids and accommodations upon request. If you would like to make a difference in the life of a child, visit our volunteer page to find all the information you need to get started! Immigrant youth 0-23 years of age with refugee status. Refugee services are also provided free of charge. The programis funded by the Office of Refugee Resettlement. Please include your phone number when contacting us by email so we may respond by telephone if necessary. Click here to download resources for families. Click here to download Part 1 of Federal Student Aid information. Click here to download Part 2 of Federal Student Aid information. Click here to download Youth Resources for August 2015.